Tell us a little bit about the journey that took you from university studies in Melbourne to the editorial board of MRP. It seems like aeons ago that I was completing the Master of Publishing and Editing course (now defunct) at Monash University in Melbourne with the one and only Laurie Steed as my tutor! While completing the course, I got a job as Publishing Assistant at Oxford University Press (OUP) in the higher education department and was eventually promoted to Development Editor where I was responsible for managing the new editions of health and social work textbooks. Working in educational publishing wasn’t a deliberate choice. Like most people who enter the publishing field, I had romantic (read: unrealistic) notions of sifting through piles of fiction manuscripts for the next Miles Franklin Award winner, so, initially, educational publishing didn’t seem as glamorous in comparison. However, I found that I really enjoyed the structured nature of educational publishing and being able to read about topics that I wouldn’t otherwise read (although editing health textbooks is dangerous as I tend to self-diagnose during the process). I worked at OUP for three years before my husband took on a position on the west coast, and off we went. I started freelance editing as I thought this would be the best way to remain involved in the world of publishing, given how small the industry in WA. Now, I proofread and edit manuscripts for local and interstate publishers and mainly work on educational textbooks, nonfiction books, and academic papers. 2) What, to you, makes for a great manuscript? Are there certain identifiable qualities that help a work stand out from the majority of submissions? I tend to gravitate towards character-driven manuscripts, but I also think that the best plot-driven manuscripts have strong characters driving the story. I get excited by convincing and authentic characters that can take readers on a journey. Empathy is an important emotion for me, and I find that it is even more poignant when actions can’t be comprehended but the emotions can be felt and understood. I can also be an impatient reader, so it is important for a writer to grab my attention within the first few chapters—a solid foundation is half the battle, in my opinion. Captivating an audience early on is especially important in this day and age because there are so many other things vying for people’s attention. Good writing can be easily recognised, more or less, but there is also the X factor. It is mysterious and indescribable—but when you see it, you know. The board felt this way with a recent submission, and it was touching to see everyone affected in the same way. The power of the word can be an extraordinary thing. How do you find Perth as opposed to Melbourne? What do you like most about it, and how do you deal with the friend or familial longings for those people still back east? If Perth and Melbourne were to merge, I think we would have the perfect city: the sunshine, beaches, culture and fine dining—what more could you ask for? There are people who complain that Perth is too small and there is nothing to do, but I think people have to understand Perth for what it is and the lifestyle that it offers. I’ve certainly appreciated spending more time outdoors, my increase in vitamin-D level, the lack of traffic and the general laissez-faire attitude—it has been a pleasant change to be able to stop and smell the proverbial roses if you will. Isolation breeds contemplation (and creativity), and slowing down has almost been therapeutic. However, most importantly, for any Melburnian, there is good coffee to be found. Honestly, even though I am on the other side of the country, I don’t feel too far away from friends and family. It’s a mere 4-hour flight back home as opposed to a 24-hour flight from London, for instance, so it’s all relative. It has also become a lot easier to keep in touch via Skype and social media. What are the most common issues you’ve dealt with when editing a manuscript? The most common issue I have is less about the mechanics of editing a manuscript and more about understanding what an editor actually does, and the differences between structural editing, copyediting, and proofreading. They are not all the same thing and ideally should all be done at different stages. Of course, publishing and editorial budgets are normally quite modest, so a common expectation is to be able to perform two or three functions at the one time. In terms of actual copyediting, it really depends on the manuscript. Some manuscripts arrive in fantastic shape and only need a few minor tweaks, while others require a more heavy-handed approach. Editors need to know when to hold back and not ‘over-edit.’ Although there are grammar ‘rules,’ language conventions can also be a matter of personal taste, so I find that editing is a process of giving and taking. Where do you see yourself in five, or ten years’ time? Do you plan to continue a career in publishing? Are there any areas of publishing you’ve not yet explored that you’d be keen to venture into at some point? I don’t think people ‘fall’ into publishing—people have to choose it as a career. Publishing isn’t an easy path, and it can be stressful being part of a so-called ‘dying’ industry. However, there is no other industry that has a more passionate and diverse group of people all united by a common love of words. So to answer your question, in five or ten years’ time, I still hope to be part of this unique industry, continually learning and building my skills as a freelance editor. I would be keen to explore further the seemingly exotic world of fiction editing; however, I’ve always been very open to any opportunities that have been flung my way, so who knows what’s next? 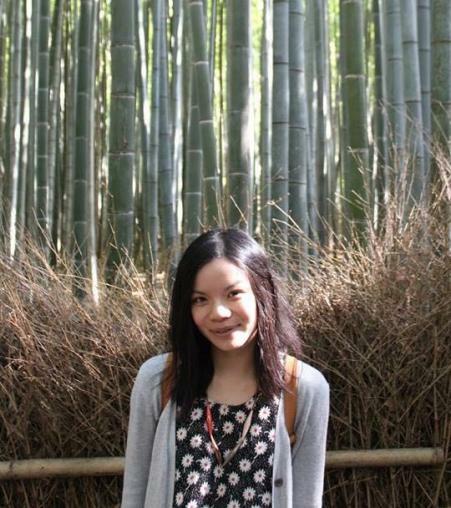 Camha Pham is a freelance editor with a background in educational publishing, and has worked accross a broad range of materials including book manuscripts, educational resources and online publications. She was formerly a Development Editor at Oxford University Press, Melbourne, where she worked on the health and social work new editions lists, and has also completed a Master of Publishing and Editing from Monash University.